Obituary for Darlene M. Gardner | Sullivan's Highland Funeral Service & Crematory, Inc.
Darlene M. Gardner, 85, of Fayetteville, NC, passed away on Monday, September 10, 2018. She was born in Postville, IA, on March 19, 1933, to the late Elmer and Laura Kugel. She was preceded in death by her husband of 56 years, Roger. 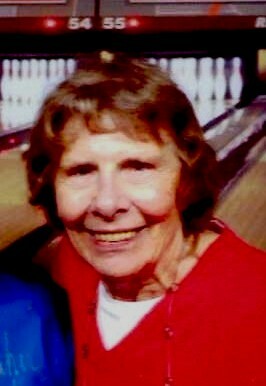 Darlene was an avid reader but her greatest joy was bowling. Left to cherish Darlene’s memory are her children, Kaye (Tim) Thede of Fayetteville, NC, Brian Gardner of Portland, OR, and Scott Gardner of Des Moines, IA; 9 grandchildren; and siblings, Yvonne Brandt, Ronald (Eleanor) Kugel, Janice Listiak, Roy (Susie) Kugel. The family will conduct a private service.